Gary I have only recently in the last few years come to realize that I’m an empath. But my whole life I’ve been plagued by sleep paralysis at which time a demon sits on my chest, paralyzes me and pokes me in a painfull / ticklish way during which time I cannot move or scream at all.i try to say the Lord’s prayer,but cannot .I can not really “see”,the demon,I can feel it & it’s power.it only happens once a year,or every other,but goes on for an entire night, over & over.even tho I do wake,I cannot stay awake & it happens over again.is this due to my empathetic abilities or could it be something else? Demonics strangling you while you sleep are very annoying. I do know that sometimes they get bored and they think it’s funny. They also love the fear it produces. Generally, blasting them with light and love is a good start. Lords Prayer may not be all that effective, considering it’s not designed to repel demonics. You can try calling on whatever source you deem will protect you. 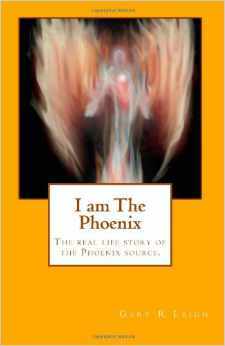 I tend to suggest AA Mikeal or Phoenix Energy, as that energy is designed to protect and remove demonics. And you are more than likely psychic as well as an Empath, which is why you can sense such things. It took me years to realize that i am an Empath and had abilities.Figuring being a Cancer Zodiac to begin with.Ever since i was a little girl i had nightmares about hell.. I can dream into the future and saw my sons grandfathers death 3 yrs before it happened.I have astral traveled in dream state .I recently moved out of a home that left scratches on me after waking up multiple times and kept documented pictures.Had one severe episode of sleep paralysis once when i was in my teens.I can go into nature and take pictures and colored orbs and alien like faces appear in them for some reason ..which i still have. I feel like a target for a lot of stuff of the unknown and not understanding any of it. I’ve never found a way to make it stop, but I have found ways to control it. Please feel free to email me at gary@empathsupport.com and we can see what we can do. You are welcome. And yes, it’s all real. The amount of proof I’ve had since writing this article has no medical or rational explanation. By the way, you might find the free Empath Guidebook useful for you. Gary, could you shed some light for me? I am an empath but for the past two years something that feels so evil has been plaguing myself and my boyfriend- moving houses hasn’t helped. When I see it at night it’s a black mass, sometimes it darts up and down the room. We get attacked and scratched too. You do feel crazy at times but knowing that someone else is seeing it too helps. I have tried connecting with it and sending it into the light… but no help. I have tried holy water and blessed salt… it offers protection but this creature feels so powerful. I feel weak, tired, depressed and I just want it to leave my life because I want to start energy healing and hypnosis again, I feel that I cannot invite anyone into my home with this thing around me. I need to be in a good space. This certainly sounds demonic. Can you e-mail me at gary@empathsupport.com and I can get some friends to check into it? And no, you’re not crazy. All the signs match up. I have always wondered if my 11 year old Gson was an Empath. Andrew was staying overnight and got up from the couch to go to the kitchen for a drink box. He came back, sat really close to me and started crying, saying he was so sad. I asked what made him so sad, was it something his sister or I said, He said “no” it was nothing we had done. Could he have encountered a sad spirit in my home? Thank you all. That is certainly a telling sign. Also that he’s psychic. My baby sister is a Famous Psychic Rhonda Manning, she embraces her gifts. I have had several out of my body experiences also and I cannot talk about these things, other people think your nuts. It hurts not to be able to be myself. I have been told I was crazy by my boyfriend.. But since I was 10 I seen my own aura in the mirror. Then I noticed other peoples and felt their energies also. I do not like crowds. When I was 19 i felt a terrible energy and I instantly knew something was wrong with one of my children 20 miles away at the baby sitters. I asked my boss to let me off work and immediately drove to the babysitters. I picked up my 8 month old baby girl and stood her on my lap she immediately started to cry an with drew her leg. I asked what happened. The sitter said one f the kids unlocked the door and my baby went down a flight of stairs in her walker. The paramedics were called and said she was okay. The sitter should have called me, and she did not. I took my baby to the hospital and her leg was broken. I seemed to immediately know my child was endangered from across town. Then on another occassion, I would drive by this spot in the road and get an uncanny uncomfortable feeling.. This went on for weeks. I picked up my 50 year old maid one day and as we passed by this very spot she looked over at me and fastened her seat belt. I knew she had felt it too. several days later I was involved in a terrible accident caused by a drunk driver that nearly took my life at that very spot. There is so much more to tell. I am about to visit a hospital and wouldn’t go but my bf’s Dad is very sick. Since I was a small child I can sense stuff in hospitals and churches. I am googling how to stay grounded so I don’t exit feeling drained. Nice site btw. I know this site is old but I can relate to Randy King. It’s overwhelming. I stay home most of the time. I am a special case…but nut case I feel most of the time. I am an Empath among other things. I have learned to ignore it all and taught my son to do the same. The sensitivity to surrounding emotions is the one thing we can’t control. It tends to make me sick. It’s harder to watch my son go through it also. He gets overwhelmed as much as me and I can’t help him. We are wonderful with people but without shields it isn’t much fun. It also makes friends hard to find. I joke that animals are my best friends. I’m glad that at least you are aware of you both being Empaths. 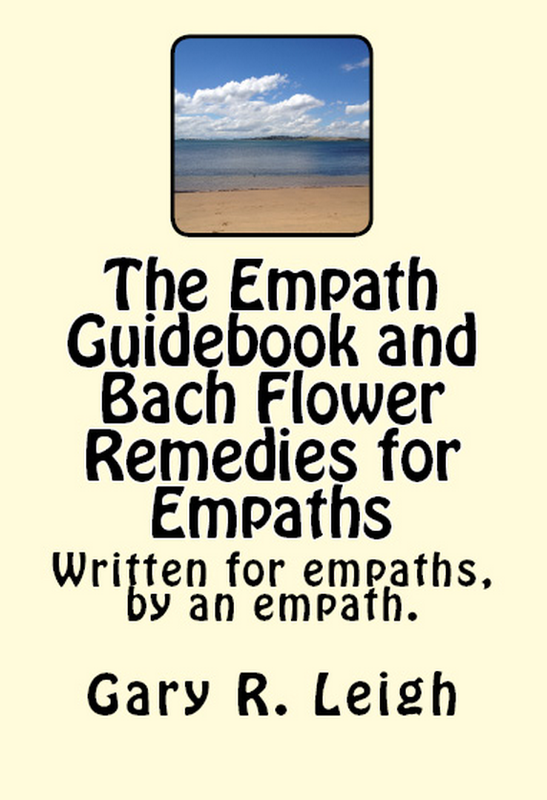 If you haven’t already done so, you might find the free Empath Guidebook to be of use. there’s not any time that I dont see ghost, I see them every day of my life…im so used to it ,it never gets old my mum was the same but she pass away a few months ago…I cnt remember my dreams but when I do then its a warning from spirits its like they want me to do something, help them but I dont want to. Have you ever tried using Bach Flower Remedies (aspen and walnut I think would work) to try and block the nightmares? smoke pot, i have to have it to get through very active days. it calms me, i don’t dream!! Hey, I’m a emphatic too. Other’s emotions run into mine, I sense what other’s are about to say, thinking, and sometimes do a lot. I also get either good or bad vibes from people I’m just meeting. So I know their intention I guess you can say lol. Also it strong at times. Though something new has been happening and I wasn’t for sure what to think of it. Randomly rarely I would see a black orb like floating or else almost like running around. Then when I look at it its gone. I’ve seen it at work sometimes. I work at a greenhouse and we have aisles with metal benches across from each other that the flowers are on. I saw it in the corner in my eye on the ground and when I looked it looked like it almost skittered to the other side and was gone in a blink of an eye. Though it’s only black and smallish. Haven’t seen them recently though. Only have 4 or 3 times so far. Then rarely ever I hear voices. Very rarely. I heard one at work, saying ‘ What? !’ In some male voice that was unfamiliar.Like he was confused. The voices I heard only been male I believe, or else most of them. Though haven’t heard the last one in a few months to a year maybe? I looked around no one said anything. I guess its nice finding this and knowing I’m not going crazy lol. I was just surfing web about the spirits i just began seeing often. They are black & white. About 12-15″ tall, very fast. It made me feel better when I read yours. I have things moved around often when I pack for a trip. Has anyone else seen white spirits? HI MY NAME IS RANDY AND I AM AN EMPATH, I ALSO SEE SPIRITS AND I CAN FEEL WHEN THERE NEAR I GET A FEELING IN MY STOMACH AREA THAT IS ALMOST LIKE GOING UP AND DOWN A HILL REALLY FAST. I ALSO KNOW WHEN SOMEONE IS SICK , HURTING AND WHEN IM BEING LIED TO. I HAVE DEPRESSION AND IM LEARNING HOW TO PROJECT A SHIELD SORTA SPEAK IF I DONT WANT TO FEEL IT. WHEN I WALK INTO HOSPITALS,NURSING HOMES,ABANDONED HOMES AND BUILDINGS I SEE AND FEEL THINGS AND IT VERY OVERWELMING AT TIMES. I WOULD RATHER STAY AT HOME MOST OF THE TIME. I WORK IN PUBLIC SERVICE AND BY THE END OF THE DAY I AM DRAINED, AND JUST WANT TO GO HOME AND GO TO BED. SPIRITS ALSO FOLLOW ME HOME SOMETIMES AND I HAVE TO SEND THEM ON THERE WAY. I AM JUDGED, CALLED CRAZY, A FREAK, THAT I MAKE THINGS UP. I ONLY HAVE ONE FRIEND THAT IS BEHIND ME ALL THE WAY, BUT IT WOULD BE NICE TO MEET SOMEONE IN MY AREA LIKE ME. HAVING SOMEONE TO TALK TO ABOUT EVERYTHING WOULD BE GREAT. 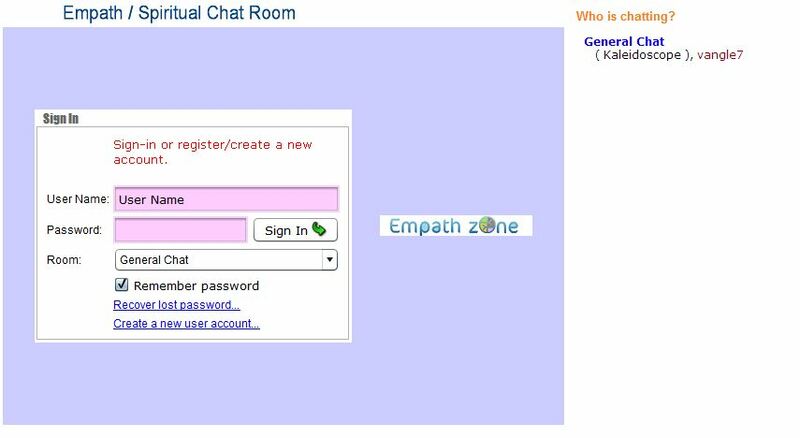 I don’t know what area you are in, but you might want to visit the empath chat room and try and make some connections there. You are not a freak. What you sense is real. If you want to understand what it’s like from the spirit”s point of view, I suggest you follow the current series on this blog. You’ll find informatoin that I doubt has been put out there before. I have seen most of what has been mentioned. I have dreams that tell me of events that have happened and occasionally things that will happen. I am one of only two known empaths in my family. The other is my aunt and we try to keep it hidden from the rest of my family, they would go straight to saying we are possessed or that it is witchcraft. My abilities started showing up after I turned 14 and I realized I was an empathy about the time I turned 16. My family is known for having psychic abilities, but my mom said that me and my brothers abilities are a lot stronger. One of my brothers is an indigo child and the other has had many premonitions. We all have shown some kinda precognitive abilty. We also have drawn many spirits have all sorts to our home without meaning to. It’s hard when you don’t have the support, or worse, they will condemn you for being you. Just know you are not alone. yea i have drawn spirits to my home not meaning to either. I’ve seen both, too. Thanks for sharing. I hope so. There is some cool scientists that work on the fringes, and they often do recognise one needs to be open minded to innovate. I remember being taught that rules on a macro level aren’t carried into the micro level of understanding. (something like that anyway ??!!) In science that is, like physics. Although they affect each other. Yes, though who knows, with time, they will start to understand the more subtle levels, and prove it’s there. I feel sad when skeptics try to apply a scientific method to testing whether these things exist or not, it never works and embarrases the person who can feel these. It’s so demeaning.